The founder of Sakthi Group, Padma Bhushan Dr. N. Mahalingam was a doyen of industry in the southern region of the country. During his reign, he established several organizations along with serving as a notable philanthropist. With a desire of bringing an international standard in the present management education scenario, he laid the foundation of the Sakthi Institute of Information and Management Studies (SIIMS) in April 2010. Since its inception, SIIMS has been able to get university ranks every consecutive year. In his absence, Dr. B. K. Krishnaraj Vanavarayar, President and M. Balasubramaniam, Secretary, manage and guide the intuition to success. The founder of the institution had a strong understanding regarding the rural and urban divide; consequently, to bridge this gap in education, he chose a rural area to build the sizable 75,000 sq ft campus for imparting management education. A unique element about the campus is its wonderful ambience and the state-of-the-art infrastructural facilities at international standard provided to the students and special facility for physically challenged students. The campus is also adorned with C.K. Prahalad Hall; with a capacity of 220 seats and the Arutchelvar Dr. N. Mahalingam Auditorium with a capacity of 1500 seats. Numerous National, International Seminars, workshops and Guest classes take place in this hall and auditorium. The single-minded determination of the institution's administrators earned it with the award of "A Grade" at the National Level in the Best B-School Survey 2017 conducted by Chronicle Publications, New Delhi. Significantly, SIIMS is one of the four Business Schools in Tamil Nadu to be awarded this rating at National Level. It is also the only business school in the region which is able to achieve 100 percent admission every year. The program structure of the SIIMS is quite adaptable to this era of technology. It has been witnessed over the years that only skilled individuals can tackle the highly complicated and demanding nature of work that organizations undertake in this era of globalization and liberalization. "The MBA program we offer is clubbed with both theoretical and practical activities, ensuring the inculcation of qualities like conceptualizing, communication skills, analytical and problem-solving skills and so on in the learners," says Dr. P. Subramanian, Advisor, Sakthi Institute of Information and Management Studies. The program structure of the institution is quite adaptable to this era of technology. In order to boost the technological advancement of the students, each of them is provided with a free tablet, which is pre-loaded with all the necessary study materials. Apart from the regular curriculum, SIIMS Human Excellence Cell has introduced a unique Diploma Course named Art of Self Management in the interest of the mental and physical well-being of the students. The specialization based certificate courses proposed by the institution further are an added ingredient in advocating employment opportunities. "Along with the aim of providing jobs to the aspirants, we are adhering to the hallmarks of today's MBA courses that facilitate innovation and entrepreneurship. Therefore, our institution owns a full-fledged Entrepreneurship Development Cell (EDC), which addresses and promotes different workshops and club activities among the entrepreneurship enthusiasts," shares Dr. P. Subramanian. Considering the philanthropic nature of the founder of the institution, SIIMS provides Merit Scholarship and free textbooks. Also the mentors engage the students in various Community Engagement Programmes, rendering a sense commitment towards the society in the budding managers. The students have carried out projects like Tree planting ceremony named "Vanavalam", Orphanage Visit named "Stand for orphans", Visit to old age home named " Uravai Thedi" and so on. It deliberately helps the students to apply their learning and skill sets directly into the engagement and make a positive impact on the community. These activities in addition to the frequent industrial visits grant the students to involve themselves into benefit analysis, business plan, strategic plan, market analysis, marketing plan and project financial model. The students of SIIMS have been also presented with a glorious opportunity of International industry-visit for the fourth consecutive year to Malaysia. "It takes a lot of efforts for an institution to establish its essence among the student community, and we are proud to be called our SIIMS as one of the best B-Schools in Tamil Nadu through nurturing University Ranks right from its inception," claims Dr. Subramanian. Owing to Sakthi Group's well-assembled prestige and fame since 1947, SIIMS holds an amicable relationship with the industry professionals. For the purpose of campus placement, companies like ICICI, HCL, Accenture, Infosys, ICICI Securities, ITC, Wipro, RBS, HDFC bank, IndusInd bank and so on visits the institution every year. "We hold the vision to take the management studies to a level where it produces academically superior, socially committed, ethically strong and culturally rich citizens for the development of country," concludes Dr. Subramanian. Born in an aristocratic family in the year 1944 in Samathur, a village in the southern state of Tamil Nadu, India, he qualified himself as a barrister and later entered into business. As Chairman of the Bharatiya Vidya Bhavan, an organization committed to preserve and propagate the ancient wisdom of India, he has done yeoman service to spread the glory of India through lectures and cultural programmes. He is the President of N.G.M. College, Pollachi and Chairman of Kumara Guru College of Technology, Coimbatore, one of the leading colleges in Tamil Nadu. He is the member management for Vanavarayar Institute of Agriculture. The high ideals of Swami Vivekananda and Mahatma Gandhi had a profound impact on him. Sri Ramakrishna Mission, Coimbatore, awarded him the "Vivekananda National Award for Excellence" in 2006. 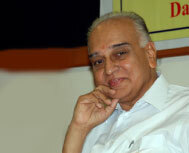 A dedicated academician, Dr. P. Subramanian is the advisor of Sakthi Institute of Information and Management Studies. He has completed his B.Com from NGM College, Pollachi, M. Com from Madras University and BGL from Mysore University. He has done Ph.D. from Bharathiar University in the field of Finance and M.Phil from Annamalai University. He has published many articles in national and international journals and has attended a number of conferences and workshops at the state and national levels.